I and the other GAFCON Primates are preparing for the upcoming gathering of the Primates of the Anglican Communion later this month. I will have more to say as the meeting approaches, but as many of you have asked how you can help and pray, I wanted to make sure that you received this latest communication from GAFCON Chairman, Archbishop Eliud Wabukala. Grace and peace to you in the name of our Lord Jesus Christ. I pray you will take a moment to read this important message. 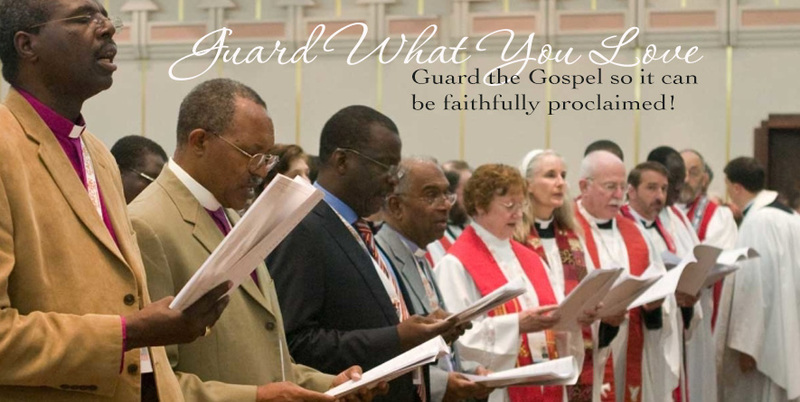 GAFCON was formed in 2008 to guard and proclaim the unchanging, transforming Gospel through biblically faithful preaching and teaching which frees our churches to make disciples by clear and certain witness to Jesus Christ in all the world. Sadly, that truth continues to be called into question in the Anglican Communion and I am writing to invite you to partner with us as a decisive moment approaches. Will Christ rule our life and witness through His word, or will our life and witness be conformed to the global ambitions of a secular culture? Together, by the grace of God, we are praying that the Communion will emerge from its current crisis repentant, renewed and restored for its global mission of proclaiming the gospel which is good news for all people, in all places and at all times. This is the hope and testimony of the GAFCON Primates as they approach this gathering. Thank you so much for your partnership in the longing we share to see Christ glorified in his church.